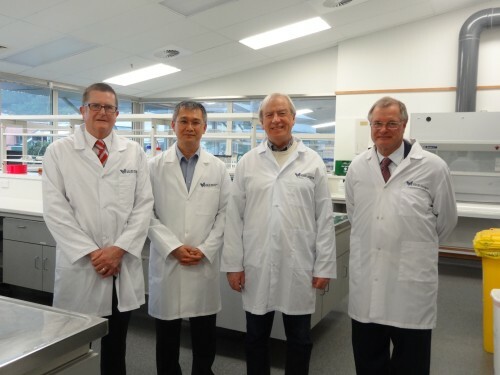 Associate Minister of Health, Hon Peter Dunne, Upper Hutt City Mayor, Wayne Guppy, and former Hutt City Mayor, David Ogden, were given a tour of the facilities and the opportunity to learn more about the work Dr Swee Tan and his team are undertaking. Mr Dunne says he was excited by the opportunity to visit the GMRI, and see first-hand the ground-breaking work the GMRI undertakes. “I have long been aware of and followed the work of Dr Swee Tan,” he says. Mr Dunne says the GMRI’s work is nothing short of exceptional, as evidenced by the numerous awards Dr Tan has garnered over the years. 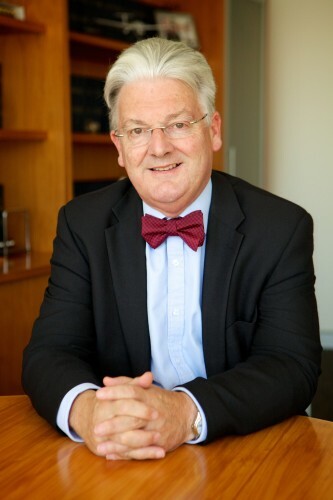 “His work has added immeasurably to the quality of life of so many, not just in New Zealand, but also globally as his ground-breaking techniques have been adopted,” he says. Mr Guppy has been a supporter of Dr Tan and the GMRI since the early days of fundraising for a dedicated facility, which he and his wife were involved in. “It’s just great to see the GMRI in a permanent home here in Wellington,” he says. Mr Ogden has known Dr Tan since 2004 when he first became Mayor of Hutt City, during which time he was also involved in fundraising. “Having a look around at the facilities and meeting the GMRI staff was fantastic,” says Mr Ogden.